The marine world is full of fascinating creatures, many of which live so deep in the ocean that researchers have yet to discover them. Luckily, dolphins are one species that prefer to swim towards the top of the waters and often do fantastic jumps out of it. While this allows land-bound humans to see them on dolphin tours and other vacation sea adventures, many people do not know much about these animals before they get out on the water. Learn these facts about dolphins and spread them to your friends and family before you start your offshore adventure. Just as you use to do in college between studying and seminars, dolphins are masters of the power nap. Unlike your 20-year-old self, dolphins are able to do this by resting only one hemisphere of their brain for 15 to 20 minutes at a time, several times a day. Although dolphins live in the water, they can't breathe underneath it and still need to get to the surface to get air. 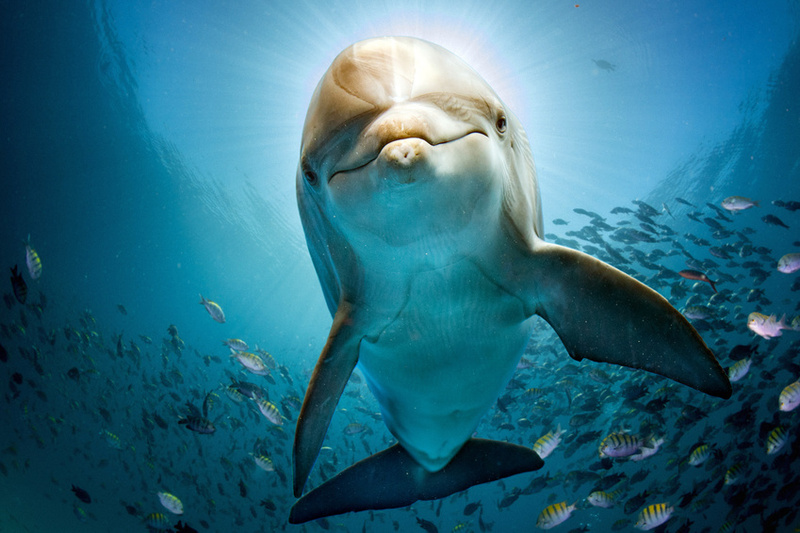 By resting just half of their brain at a time, dolphins can still swim, breathe, and watch for predators at all times. Researchers know that dolphins communicate with one another underwater by making a series of vocalizations, including clicks and whistles. What they don't know is what exactly their unique language means. Scientists are still searching for a key that links the vocalizations of dolphins to their behavior. Dolphins have two rows of chompers just like humans, but they don't use them to chew their food into digestible bits. Instead, dolphins only use their teeth to catch prey. They swallow the fish or crustaceans whole and then part of their stomach do the work of digestion. Dolphins have multiple stomach chambers and while one is devoted to digestion, others store food before digesting it. When on dolphin tours, you may notice that their skin looks extremely smooth and sleek. The reason behind this is that the outer layer of a dolphin's skin can be shed off and replaced as often as every two hours. Scientists believe that this ability to create incredibly smooth skin reduces their drag as they swim, giving them a speedy advantage in the water. There were about 8.38 million people who snorkeled in the United States in 2017. Whether you join these millions to experience the wonder of dolphins up close or observe their beauty from afar on dolphin tours, trust Kona Offshore Adventures to give you memories that will last a lifetime.